Dr. Rabkin graduated from Boston University's combined program in Undergraduate and Graduate Medical Sciences receiving a Bachelor of Arts and his MD degree in 1982. He received his surgical training at the University of California, San Francisco (UCSF) and completed his internship in Surgery in 1983. This was followed by a residency in General Surgery at UCSF from 1983-1988. During this time, he pursued basic research interests in wound repair/healing and surgical infections, studying and working in the basic science laboratory from 1985-1987 under the guidance of Professor Thomas Hunt at UCSF. He served as Chief Resident in General Surgery at UCSF from 1988-1989. Dr. Rabkin spent the next two years specializing and training in a post residency Fellowship in Transplantation at both UCSF and the University of Minnesota. 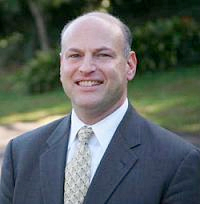 After completing his formal training in 1991, Dr. Rabkin was recruited to the Oregon Health and Sciences University (OHSU) in Portland, Oregon and was Associate Professor of Surgery and Chief of the Section of Liver/Pancreas Transplantation and Hepatobiliary Surgery in the Medical School. He built a basic science laboratory in the OHSU Department of Surgery to study transplant immunology. Dr. Rabkin initiated programs in Liver and Pancreas Transplantation at the University Hospital as well as at the Portland Veterans Administration Hospital in Portland, Oregon. He has also been very active in Organ Donation and Recovery efforts and served as the Medical Director of the Pacific Northwest Transplant Bank from 1993-2001 as well as on multiple committee assignments with the United Network for Organ Sharing (UNOS). Dr. Rabkin recognized the increasing incidence of fatty liver disease (NAFLD) secondary to obesity and obesity-related medical diseases. NAFLD is now projected to be the number one cause of liver failure requiring liver transplantation in the United States within the next twenty years. Curing liver disease with bariatric surgery and helping patients survive liver transplantation became and remains a focus of Dr Rabkin's professional clinical and research efforts. Offering both bariatric surgery as well as liver transplantation, he is able to track NAFLD throughout its progress from early treatable disease with weight-loss surgery to treatment of end-stage liver disease (ESLD) with transplantation. Dr. Rabkin returned to the Bay Area in 2002 to join Pacific Laparoscopy as a bariatric surgeon and to continue as a specialist in liver transplantation and complex hepatobiliary surgery. Over the past 10 years, he has helped develop innovative surgical approaches to treat morbid obesity through weight loss surgery. Dr Rabkin is a recognized expert for the Laparoscopic Duodenal Switch procedure, having one of the largest series of patients in the US and is considered one of the top laparoscopic duodenal switch surgeons. Dr. Rabkin is a fellow of the American College of Surgeons and is certified by the American Board of Surgery. He is a member of multiple surgical societies including the Pacific Coast Surgical Association, the North Pacific Surgical Association, the Society of Transplant Surgeons, as well as the American Society for Metabolic and Bariatric Surgery. Dr. Rabkin is also a member of the Bariatric Surgery Source Advisory Council. He reviews content and answers patient questions to help ensure accurate, up-to-date information is available online to prospective-patients. To learn more about Dr. Rabkin, click here to request a consultation, or you can call Pacific Laparoscopy at 415-668-3200 to schedule your appointment.